The Academy of Canadian Cinema & Television will also highlights the best in television at its Red Carpet Gala, next Sunday March 1, and I will be there to support and join in the celebration. Here are five of the television shows which have garnered several Canadian Screen Awards nominations, as well as, a great fan-base in Canada and beyond. This excellent science-fiction show has 13 nominations including, Award for Best Dramatic Series, Best Direction in a Dramatic Series, Best Picture Editing in a Dramatic Program or Series, and Best Writing in a Dramatic Series. As well, Tatiana Maslany has also been shortlisted for the Shaw Media Award for Best Performance by an Actress in a Continuing Leading Dramatic Role. There is no doubt Orphan Black has established itself as a favourite. Canada has great talent when it comes to comedy. There is no surprsise Mr. D has 10 Nominations, as it also did great at last year’s Canadian Screen Awards. This year, its nominations include Bell Media Award for Best Comedy Series, Best Direction in a Comedy Program or Series, and Best Writing in a Comedy Program or Series. Creator, writer, executive producer and star Gerry Dee is also up for the Bell Media Award for Best Performance by an Actor in a Continuing Leading Comedic Role. This crime drama, now on its second season, has also built a committed fan-base. 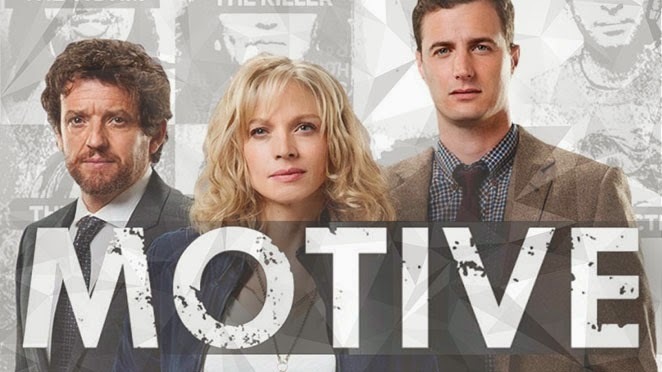 With 8 Nominations, Motive may give other shows a run for their money… The nominations include Shaw Media Award for Best Dramatic Series, Best Photography in a Dramatic Program or Series, Best Production Design or Art Direction in a Fiction Program or Series, and Best Sound in a Dramatic Program or Series. Always a fan of documentary programs, I am glad to see this one receive 4 Nominations, which include the Donald Brittain Award for Best Social/Political Documentary Program, Best Direction in a Documentary Program, Best Photography in a Documentary Program or Factual Series, and Best Sound in a Documentary, Factual or Lifestyle Program or Series. I did an interview with director Liz Marshall a while back, which I encourage you to read here. from THE GHOSTS IN OUR MACHINE on Vimeo. Best International Drama, Best Direction in a Dramatic Series, Best Sound in a Dramatic Program or Series, and Best Visual Effects. As some of the awards were handed out early this week, I can share with you that Orphan Black has won for Best Direction in a Dramatic Series, Best Original Music Score for a Series, Best Photography in a Dramatic Program or Series, and Best Writing in a Dramatic Series. 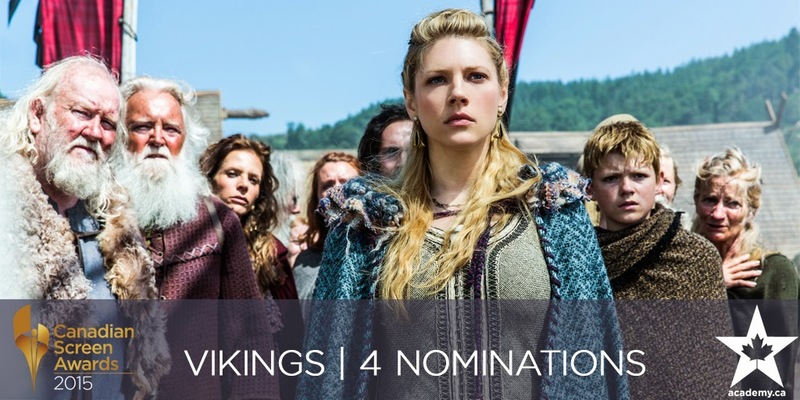 Also Vikings has won for Best Sound in a Dramatic Program or Series. But there will be more awards handed out on Sunday night. Do come back to this page, or follow me via Facebook and Twitter for updates the night of. It’s that time of the year, where we get to celebrate Canadian Films and the many who make them. 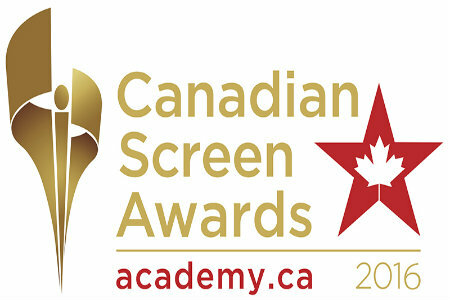 The Academy of Canadian Cinema & Television highlights the best of the best in this year’s Canadian Screen Awards. The Red Carpet Gala is taking place next Sunday March 1, and I will be there to support and join in the celebration. For those of you who might have missed the Academy’s announcement, I give the Top 5 Films nominated this year. A feisty widowed single mom finds herself burdened with the full-time custody of her explosive 15-year-old ADHD son. As they try to make ends meet and struggle with their unpredictable ménage, the peculiar, new girl across the street, Kyla, benevolently offers her help. Together, they find a new sense of balance, and hope is regained. Dolan’s latest, Mommy, has garnered a lot of attention throughout the film festival circuit, since its premiere. As a filmmaker, Dolan never disappoints. He is deservedly of the many accolades he receives. The overall film production is well done; from script to performances. The film leads with 13 Nominations which include Best Motion Picture, Achievement in Direction, Original Screenplay, and both Leading Actors — Anne Dorval and Antoine Olivier — up for an award as well. In Maps To The Stars, Cronenberg pushes both a wicked social satire, and a very human ghost story from our celebrity-obsessed culture. The film concerns the plight of a child star and a washed up actress while commenting on the entertainment industry’s relationship with Western civilization as a whole. The film has received mixed reviews since its premiere. Nonetheless, under Cronenberg’s direction brings a certain gravitas to the project. With 11 Nominations, Maps To The Stars will create some healthy competition to Mommy. It is also up for Best Motion Picture, Achievement in Direction, Evan Bird and Julianne Moore are both up for Best Performance by an Actor/Actress in a Leading Role, and let us not forget the Achievement in Music nod for Howard Shore‘s Original Score. Distributor | Distributeur : A71 Entertainment Inc.
An affluent city woman and her husband visit a weathered woman and her pregnant teenaged daughter at their dilapidated farmhouse in rural South Korea. The city woman stays to assist with the girl’s pregnancy due to an arrangement that promises hope for the future of all three women. Director Albert Shin has said he wanted to make a film about “the characters, the individual people”, which he achieves with In Her Place. Irrespective of culture, the story and characters’ moral quandaries are relatable for various reasons. The films has received 7 Nominations including, Best Motion Picture, Achievemen in Direction and Editing, and Original Screenplay. Forgotten orphan, Henri has earned a job commensurate with his abilities: he maintains the lamps of the convent where he has lived since his childhood. Forced one day to leave the institution, he devotes his efforts to bringing light into people’s lives and pulling them out of the shadows. Québécois films have their own charm and style. Talbot’s Henri Henri, may not get wide distribution across Canada. However, it has been received positively and the Academy has taken note. The film has 6 Nominations, which include Achievement in Cinematography, Achievement in Editing, and Achievement in Music. Making the most of the family home while her parents are away, Nicole is enjoying a peaceful summer with her best friend Véronique. When Nicole’s older brother shows up with his band to record an album, their vacation takes an unexpected turn, punctuated by a heatwave, Nicole’s growing insomnia, and the persistent courtship of a 10 year-old boy. Another Québécois film, Tu dors Nicole has been called the “anti-Mommy”, for its lack of “dramatic fireworks”, which works well within the constructs of this film. For those who caught the film on the big screen, there will be no surprise it’s received 6 Nominations — Best Motion Picture, Achievement in Direction, and Performance by an Actress in a Leading Role nom for Julianne Côté. Each and every one of these films is quite unique. Together they highlight the vast array of cinematic talent found in Canada, in front and behind the camera. I hope you take the time to search them out and continue supporting these artists.